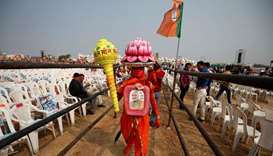 India announced Sunday a general election to be held over nearly six weeks starting on April 11, when hundreds of millions voters will cast ballots in the world's biggest democracy. 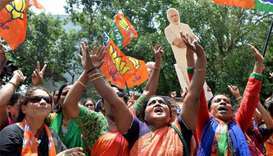 A win in Karnataka would be regarded as a major boost for the BJP and Prime Minister Narendra Modi ahead of general elections scheduled in 2019. 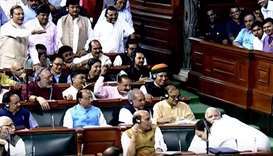 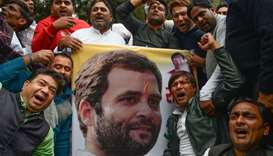 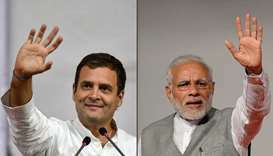 India's main opposition Congress party on Monday elevated Rahul Gandhi, the scion of the country's most fabled political dynasty, as its president, preparing to challenge the dominance of Prime Minister Narendra Modi ahead of national polls in 2019. 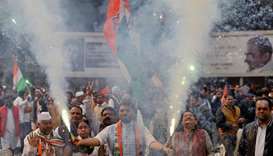 Tens of thousands of Indians voted in the first stage of assembly elections in the western state of Gujarat on Saturday, where Prime Minister Narendra Modi faces his toughest electoral test since coming to power with a landslide victory in 2014. 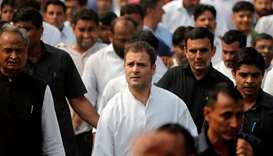 Rahul Gandhi could be named head of India's opposition Congress Party within hours, a source said, shortly after he filed his candidacy for the role on Monday. 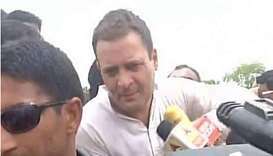 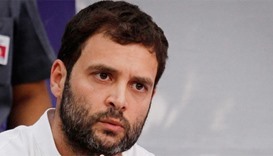 Indian police on Thursday briefly arrested leading opposition figure Rahul Gandhi as he tried to reach farmers striking in Madhya Pradesh, where five protesters were earlier killed in clashes. 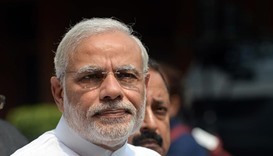 Prime Minister Narendra Modi enjoys strong public support over two years after winning power, with most people happy with his efforts to tackle corruption and other problems plaguing India, a poll showed on Monday.